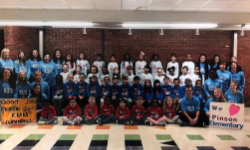 Pinson Elementary teachers, staff, and community will work together to prepare students to be college and career ready while building and maintaining positive communication with families and all stakeholders. Our Kids Ran A Total of 26 Miles! Our Team of Second Grade Scientists Rocked it!!! 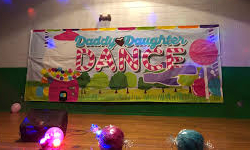 Our 2nd Annual Daddy Daughter Dance was a Huge Success!!! 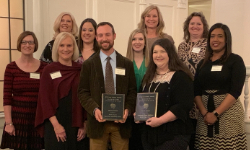 Congratulations to the 2019 JEFCOED Teachers of the Year and the Teacher of the Year Finalists. 300 JEFCOED career tech students compete in district-wide CTE competition at Jefferson State Community College. The Alabama Scholastic Press Association seeks to empower K-12 newspaper, yearbook, newsmagazine, literary magazine and broadcast staffs across Alabama. 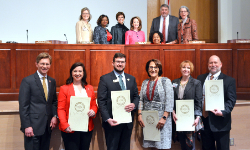 Congratulations to these JEFCOED students for receiving the highest honors at the ALSDE State Superintendent's art exhibit to celebrate excellence in Arts Education. 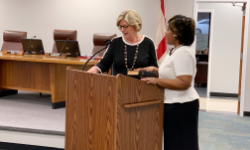 Jefferson County Schools is proud to announce Mrs. Carita Venable as the new board member in place #5. 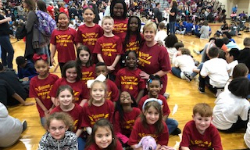 As a former Jefferson County employer, but no stranger to education, Mrs. Venable looks forward to the opportunity to continue her service to the students in Jefferson County in a different capacity. 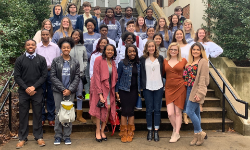 Congratulations to our JEFCOED students who were selected through competitive auditions from all middle and high schools in Jefferson and Shelby Counties. 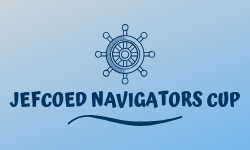 Complete this form to make application to attend a school outside your district or attendance zone. Applications must meet criteria set forth in our district's policy and a Federal Court-Order that we are currently under. All applications must be submitted online to the Department of Student Services by June 1, 2019. 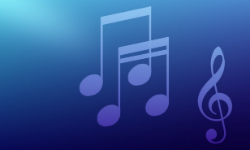 Thank you for your feedback in regards to the 2019-2020 and 2020-2021 district calendars. Option A received the majority vote for both years amongst employees and parents and was board approved. 2018 Accountability Report, Student Incident Report, and Student Achievement Data.